Decoupled Drupal Days is an event aimed at technologists, marketers, and content professionals who use Drupal as a content service. 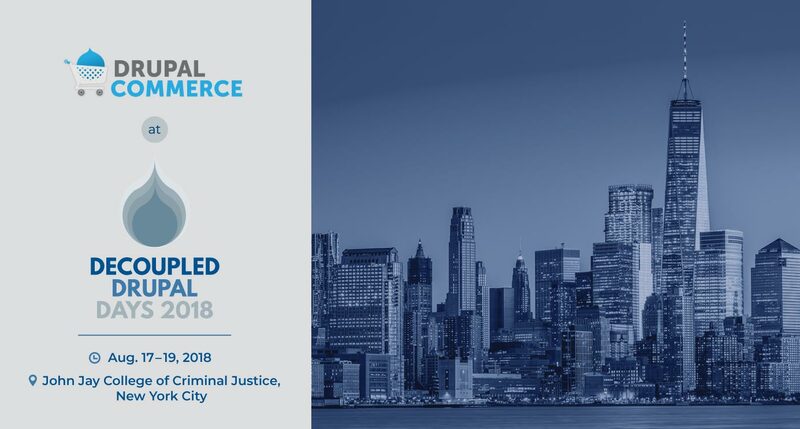 Launched in 2017, the event is in its second year, with the 2018 edition scheduled to take place between August 17-19 at the John Jay College of Criminal Justice in New York City—and if you're going, we’ll see you there. Highlighted by Preston So, Director of Research and Innovation at Acquia: The mission of Decoupled Drupal Days, beyond helping attendees engage and connect with people sharing their interests, is threefold. 2. Discuss difficult shared problems. We invite everyone to help identify and discuss shared issues in decoupling Drupal, Drupal-backed, front-ends to gather in discussions to unblock progress in our respective communities. 3. Build Open Source projects in sprints. We collaborate with contributors and members of Open Source projects across the Drupal ecosystem and outside of it to build other Open Source projects in code sprints that tangibly benefit our communities. And where does Drupal Commerce come in? With monthly releases bringing new features, plus over 80 payment gateways and many advanced contrib modules, the state of eCommerce on Drupal has never been better. And as noted by our team members at Drupal Dev Days in Lisbon who attended a Commerce 2.x session by Commerce Guys developers Bojan Zivanovic and Jonathan Sacksick, there’s a long way to go and lots to be excited about. 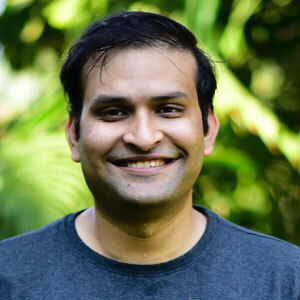 There are the two sessions centered on Drupal Commerce at Decoupled Days 2018. One of these is being presented by one of our Engineering Managers, and other by a Senior Drupal Consultant from Commerce Guys. We’ve highlighted these here. Be sure to mark these two sessions on your schedule. Don’t miss the future of Drupal Commerce. This session explores “conversational commerce," which presents an opportunity to change the shopping experience using chatbots, enabling businesses to create more meaningful connections with customers. Chat and voice based bots are now able to to read, write, and respond using natural language, automating conversations, workflows, transactions, etc. Bots are now being used in industries like healthcare, education, search, and even e-commerce, and conversational interfaces are all set to transform the way we use the internet. The new Commerce Cart API project and reference implementation in Commerce Cart Flyout demonstrate the end result. They afford Drupal Commerce merchants a user experience on par with other major eCommerce software platforms and hopefully make it easier for Drupal agencies to sell Drupal Commerce to their customers. The work wasn’t without its challenges. We reviewed the core RESTful Web Services and contributed JSON API projects but found unforeseen blockers in using either project completely. 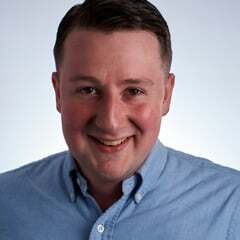 In this session, Drupal Commerce co-maintainer Matt Glaman will present Commerce Guys’s comparative analysis of the various API architectures in the Drupal ecosystem and introduce what we developed to meet our requirements for decoupled Drupal Commerce. Going from Decoupled Days to Drupal Europe. At Drupal Europe, commerce and decoupled concepts will be highlighted by key sessions as well. 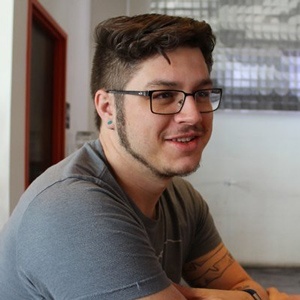 There will be another session on “the road to a headless Drupal Commerce future,” again by Matt Glaman—so if you miss it in NY, catch it in Darmstadt. There will also be one on “building a decoupled Drupal Commerce App with React Native,” by 1xINTERNET CTO, Stefan Weber.